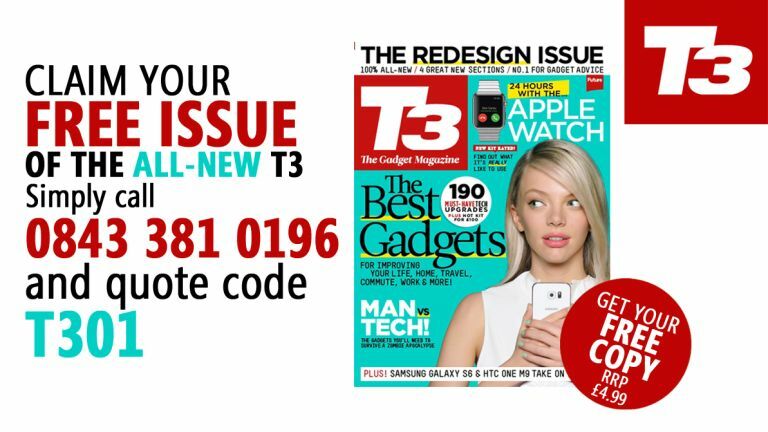 Get a FREE copy of the first issue of the all-new T3, worth £4.99, and stay up to date with the latest gadgets and tech. T3 Magazine has been completely reinvented tobring you the ultimate guide to gadgets and tech and we want you to try it out. With four great new sections and a tremendous line-up of features every issue, life's definitely better with T3. With the dawn of wearable tech and virtual reality, there's never been a more exciting time to explore the latest gear. We also live in an era where everything connects - whether it's our tablets and thermostats or our phones and coffee machines. This is whyT3 Magazine exists - to help you explore all the ways tech can improve your daily life, ensuring you only ever buy the best of the best - through in-depth tests and plenty of inspiring ideas for introducing new tech into your life. All you need to do iscall 0843 381 0196 and quote code T301, you'll get free delivery as well. Simply call 0843 381 0196 and quote code T301 to get your FREE copy.